We are recording our performances of Berlioz' Romeo et Juliette here in San Francisco this week, and it's a thrill to get to be a part of this project. I'm excited for this weekend of concerts. Being a former teenage orchestra-geek, I was madly in love with this piece when I was sawing away at my violin in youth orchestra, and desperately dreamt of getting to play it one day. We could never have dreamed of playing it as teenagers, so it's a real joy to finally get to be a part of it, despite my violinist days being far behind me. As the San Francisco Symphony cellos and basses began Beethoven's famous 'Ode to Joy' theme today in rehearsal, I turned and locked eyes with my dear friend and phenomenal soprano colleague, Kiera Duffy, both of us starting to tear up a bit. Without needing to say a word, we both just silently communicated to each other: "We need this now." With all the protesting of the past two weeks and the shockingly un-American executive orders from our President dictating that we build walls and ban refugees, purporting to protect and enforce our borders, I find it quite timely to perform Beethoven's 9th Symphony this week here in San Francisco. The symphony, groundbreaking for its use of voices in the final movement (a first in the music history of the symphonic form), is a setting of excerpts of a poem by Friedrich Schiller with some extra text added by Beethoven himself at the beginning. It is a call for unity and peace - for brotherhood and togetherness. Thinking back to our President's angry and antagonistic inaugural speech just a couple of weeks ago, Beethoven's and Schiller's call for peace and brotherhood could not be more appropriate for our times. Each time we started this music today in rehearsal, I just keep thinking how this was the piece that was performed in Berlin back in 1989 to celebrate the fall of a wall that symbolically divided the world, a physical representation of an iron curtain that held the world in a state of paranoia and fear, perilously close to the edge of doom for almost half a century. It is heartbreaking to see how strongly the pendulum has swung back towards xenophobia and isolationism less than 30 years later. It boggles the mind, leaving the sane among us wondering if humanity will ever learn the lessons of our violent human history that seems to take us closer and closer to the brink of armageddon. "Berlin, the city of the division of Europe, the city of freedom of Europe, cannot look without comment when a country plans to build a new wall. We Berliners know best how much suffering a division of a whole continent...I call to the American President: Think of your predecessor Ronald Reagan. Remember his words, 'Tear down this wall.' And so I say: Dear Mr. President, don't build this wall!" In that same spirit, as I lift my voice amongst those of my colleagues and above and amidst the members of the San Francisco Symphony this week, I do so in a joyful protest against the divisive and xenophobic policies and agendas being pushed by the current administration, and as a prayer that people can learn to focus on what makes us alike rather than different, and begin to find some common ground. It's a thought worth thinking about that the piece's message still reverberates with the same urgency nearly 200 years after its premiere performance. 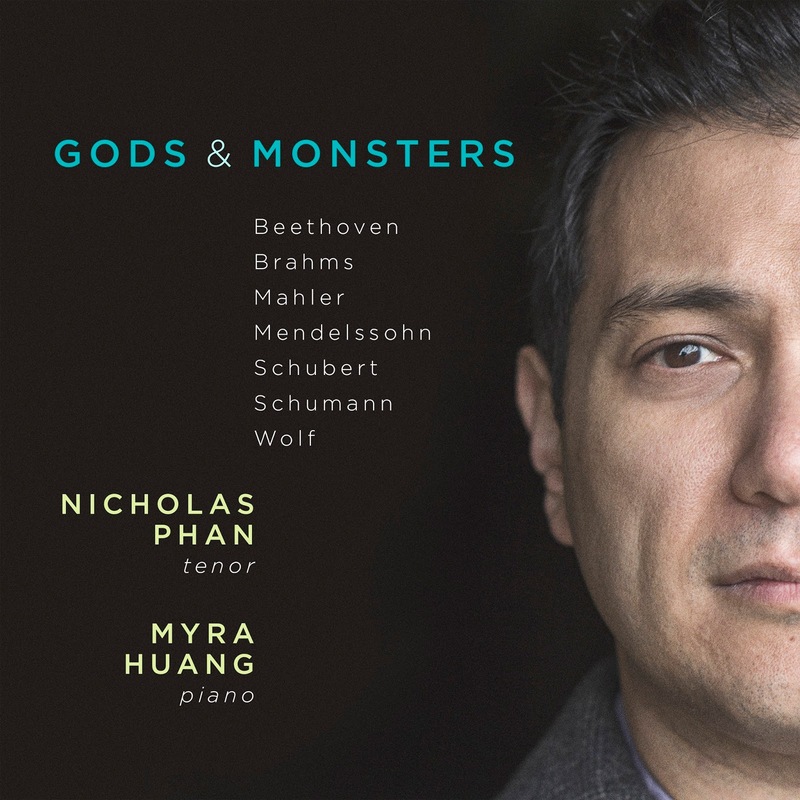 Gods & Monsters, my latest album with pianist Myra Huang was released this weekend. 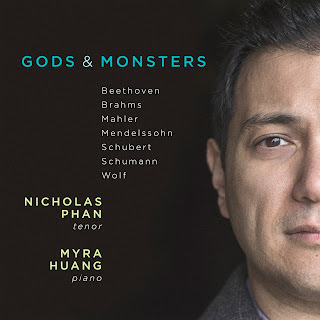 This record - mine and Myra's third together - is the realization of a long time dream of Myra's and mine to delve seriously into the realm of German Lieder. There are so many people to thank for helping usher this album to it's release, including Melanne Mueller, Steve Winn and all of the amazing team at Avie Records, our fellow executive producer Philip Wilder, the album's incredible producer and engineer Marlan Barry, and of course - Myra, who was such an inspirational and energetic force throughout the entire process, especially the sessions themselves, which were great fun. Also, of course, none of this would be possible without the army of generous souls who's contributions have underwritten this labor of love - we truly can't thank you enough for generosity and support. If you're interested in purchasing a copy or even just checking it out on Spotify, all the links and info you would need to do so are HERE. As we collectively consider the shadow of the past year while we cross over into 2017 this evening, what I have heard with even more vehemence than in previous years is basically a chorus of variations on the theme of "F**ck off, 2016!" To be honest, like many people I hear singing that particular song, I am quite happy to put this year behind me, and I'm very tempted to join in the chorus of frustration much of the time. Yet, while so many extraordinary horrible things have happened this year, so many extraordinarily wonderful things have happened this year, too. I've experienced some extraordinary highs, particularly musically, this year, and I've felt inspired by those moments to take bigger and bigger leaps forward. From my perspective, 2016 has mostly felt like a year of transition - political transitions, personal transitions, vocal transitions...you name it. Some of these transitions have been welcome and some very unwelcome, but at the end of the day all transitions involve some sort of growing pains, both big and small. Regardless of how uncomfortable or upsetting each of those shifts have felt over the past year, I am excited about 2017 as a new chapter, a clean slate - one in which we can regain our sense of hope, positivity and progressive momentum. Looking forward, 2017 will hopefully be a galvanizing time on all fronts. A time to settle into these new places into which we have transitioned, where we can hopefully find a bit of unity and acceptance. As I've said before, I feel that as artists it is our responsibility to bring communities together, which is of more importance than ever in these turbulent times in which we live. The turn of the year represents an opportunity to find the grace to begin again, to recommit to our work, which is so much about encouraging people to reflect, to think, to be mindful, to nurture compassion within themselves and to listen. Rather than ruminate too long on all of this, I'd prefer to circle back to the idea of shadows and share this little song by Ned Rorem instead. Considering Whitman's poem in the context of our current times, I think that there is something to think about in his words as we look at the long and dark shadow cast by our collective actions as a human race in 2016. As tempting as it is to throw around blame, only focusing our sights upon divisions and difference, we must ultimately accept and take ownership of the shadow we cast, acknowledging the part we play in shaping the reality in which we choose to live and that our shadows are parts of our selves. I hope everyone has a fun and safe time celebrating the New Year tonight, and to those who have already crossed the threshold in their respective time zones - Happy New Year to you. May it be filled with peace, happiness, health and success for us all. It's Christmas Eve morning here in Japan, and reading the morning news of calls for an arms race, tensions rising over Israel/Palestine resolutions at the UN, as well as updates about any of the myriad of other horrors reported this past week has not contributed to my sense of Holiday Spirit. Waking up and reading the morning news each day this month has been heartbreaking - reading of our world that is so sharply divided and deep in conflict in every corner has been a stark contrast with the Messiahs I've been traveling around performing these past few weeks. As the tenor soloist in a performance of Messiah, I have the distinct privilege of kicking off the piece with one of its most beautiful moments, an accompanied recitative: "Comfort Ye, my people, saith your God. Speak ye comfortably to Jerusalem, and cry unto her that her warfare is accomplish'd, that her iniquity is pardoned." Handel's setting of this text is stunningly beautiful in its simplicity and nakedness. The beautiful E major harmony of the opening is warm and welcoming - the simple flowing eighth note accompaniment figures in the strings are almost like rays of peace and light, upon which the tenor line, floating above with clarion melodic figures, announces a new era of peace and enlightenment. This leads into the exultant opening aria, which proclaims that every valley shall be exalted and every mountain made low, the rough places plain and the crooked straight. It's one of the greatest beginnings in all of western classical music. Under normal circumstances, I can't help but smile as I hear the opening E major chords of 'Comfort Ye', yet (as everyone on the American Left wisely keeps imploring us all to remember) these are not normal times. They are extraordinary ones: so much so that the dictionary Merriam-Webster's word of the year for 2016 is 'surreal'. This year, I feel a great sense of urgency and pleading in my heart as I sing these opening lines of Messiah. My inner subtext wants to be: "enough with the battle cries - can't we all just get along?" "Comfort Ye" wants to mean "Calm the F**k Down." I feel heartbroken when I sing "that her warfare is accomplish'd,", as it seems that no one's warfare is accomplished - it only seems to be escalating along with everyone's temper and intolerance. I have one more performance of Messiah here in Japan tomorrow afternoon, as well as a Gala Christmas concert this evening before my work is done for the year. As I round out this final chapter of work for 2016, I want to wish everyone the happiest of holidays. This year, I don't just wish - I implore this traditional seasonal greeting: Peace on Earth and Goodwill towards All. The other day, my beloved hometown orchestra, the San Francisco Symphony, announced that it will be the latest in a long string of performers canceling their upcoming concerts in Chapel Hill, North Carolina as a protest to the state's anti-LGBT law, HB2. It's been interesting to see the various reactions amongst my colleagues and musical friends to this decision this week. While there have been many praising the SFS for their decision to take a stand against this horribly discriminatory law, there have also been many who are disappointed that the orchestra will not travel to Chapel Hill and feel that the decision is tantamount to sealing off the liberal bubble that the Bay Area can be at times at the expense of maintaining a dialogue through cultural exchange. While I can appreciate both points of view, I must say that I am heartened, at a basic level, to see the SFS take a stand against bigotry and to engage in the general protest against what is basically government-sanctioned discrimination that is much wider-reaching and far more disturbing than specifying which bathroom people are to use, which the current reductive nicknames for the state law seem to imply. I count myself lucky to be a part of a community of colleagues who understand the social responsibilities that come with our work and our public profile, and who understand the importance of saying no to bigotry, hate and discrimination in this great country. For that reason alone, I will feel extra pride when I appear with them for my 9th and 10th sets of performances with the orchestra this coming February and June. That said, I have my own performances scheduled in North Carolina coming up on April 7 & 8, right at the same time as the concerts that the SF Symphony just canceled. I am scheduled to perform Britten's War Requiem with the North Carolina Symphony on those days, and I will definitely be performing those concerts. The current political and cultural discourse since the US presidential election in our own country seems increasingly more and more sharply divided, with people on both sides shouting more and more loudly into their respective echo chambers, and parties on every side seemingly both less empowered to and capable of hearing other points of view. Specifically in North Carolina, things are so divided that only a handful of votes determined the outcome of the state's Gubernatorial election this year. Tie that in with the atrocities being reported from Aleppo, reports of Russia's successful efforts to influence the US presidential election through cyber attacks and hacking, as well as the recent reports of China flying nuclear-capable bombers around the South China Sea to demonstrate their displeasure with the US President-elect's brazen foreign policy moves, and the times seem incredibly appropriate for a performance of the War Requiem. The piece is the pinnacle of Britten's pacifist expressions, and it is chilling - particularly at the end, in which he juxtaposes the traditional In paradisum section of the requiem mass with an eerily unsettling setting of Wilfred Owen's poem, Strange Meeting, which depicts the meeting in Hell of two soldiers who have killed each other. Just after one of the dead soldiers says to the other, "I am the enemy you killed, my friend...", Britten overlaps the In paradisum text, which is a prayer for angels to lead the dead into paradise where they can enjoy eternal rest, with the very end of Owen's poem. 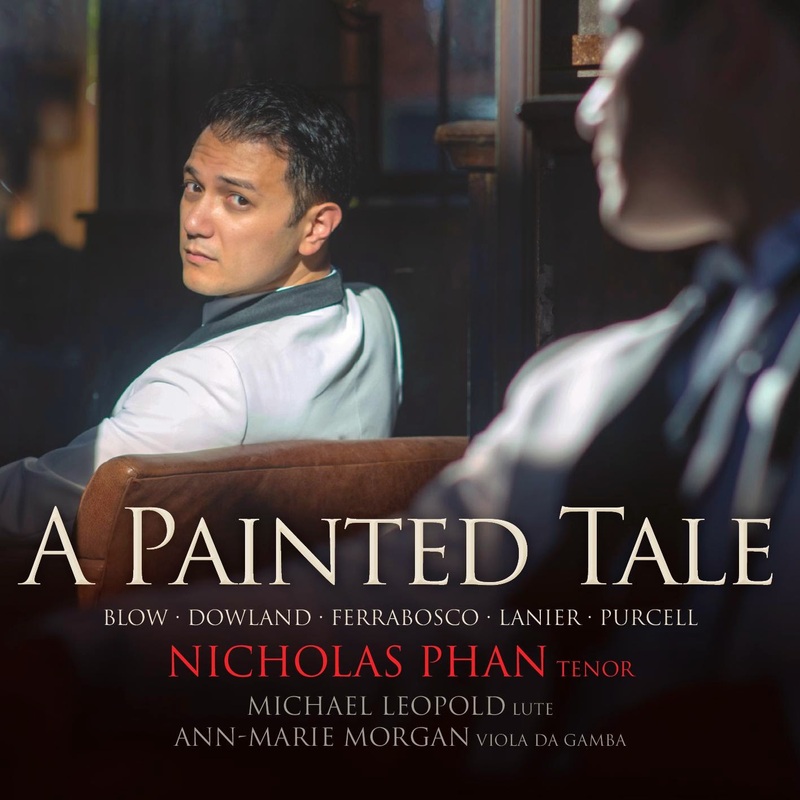 While the overarching effect of Britten's musical setting as it reaches its climax is hopeful, transcendent and ethereal, implying that paradise is eventually reached - it is a powerful ending that is tinged with a slight sense of both uncertainty and warning. I am looking forward to April - it will be a privilege to perform this amazing piece, written by a pacifist and humanist who was a gay pioneer. Its message is tragically timeless, and as the world seemingly spins more and more out of control with each passing day, it feels increasingly imperative to perform it. Not just as a prayer for peace in extraordinarily troubled times, but also as way to insert a different, more healing and unifying set of voices into the cultural and political dialogue. Hopefully, our own disparate and divided voices will not just find unity in Hell, like Owen's ill-fated soldiers, but perhaps beforehand while we are all still living on this beautiful Earth, as well.